La famosa Jessica, you may know her from her sultry smooth vocals and signature dance moves, and I met up for another closed door dining experience. 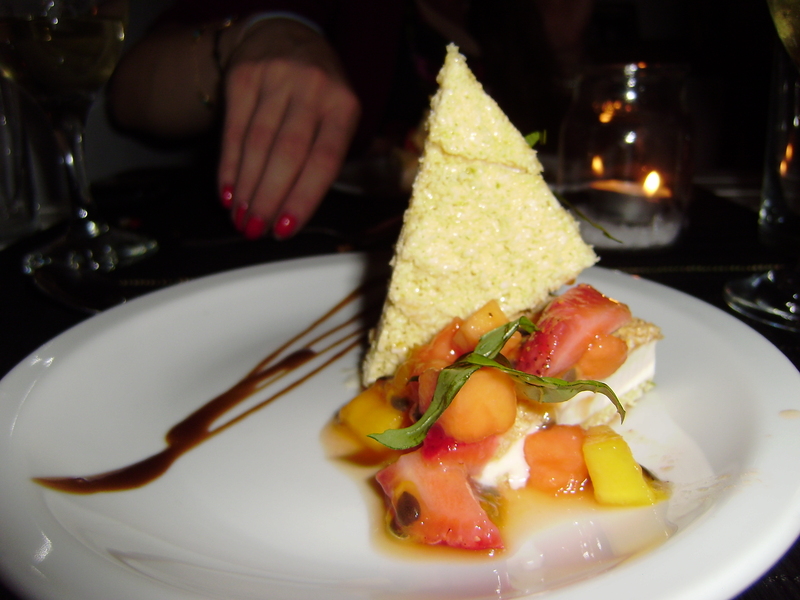 This time we chose a BA underground dining classic, the Asian fusion goodness of Cocina Sunae. 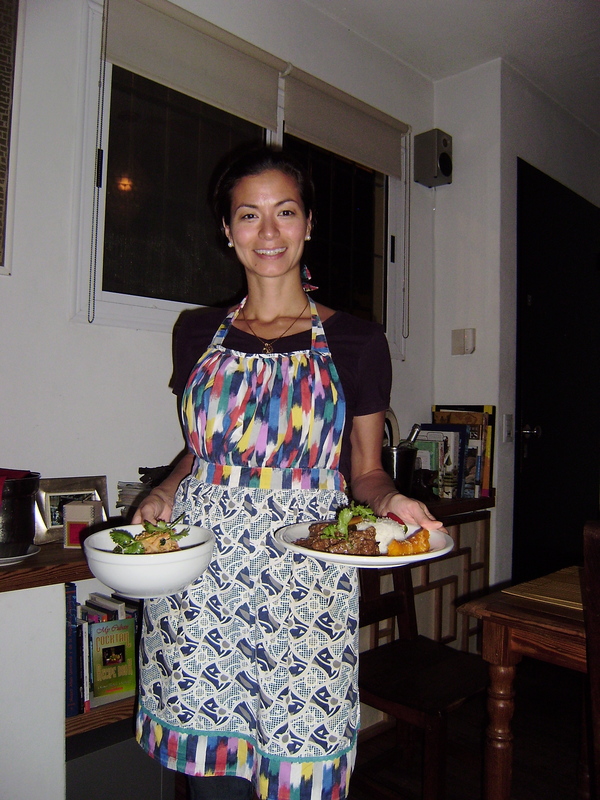 Cocina Sunae is run by Chef Christina Sunae in a gorgeous home in Colegiales. Unlike the dinner-party style shared-table that other closed-doors offer, Cocina Sunae runs like a traditional restaurant, with private tables and indoor and outdoor seating in a beautiful, festively-lit garden. This is the only thai food that I’ve had since I arrived in Argentina, and it was such a treat. I was also excited to see another BA rarity on their wine list – Pinot Grigio. 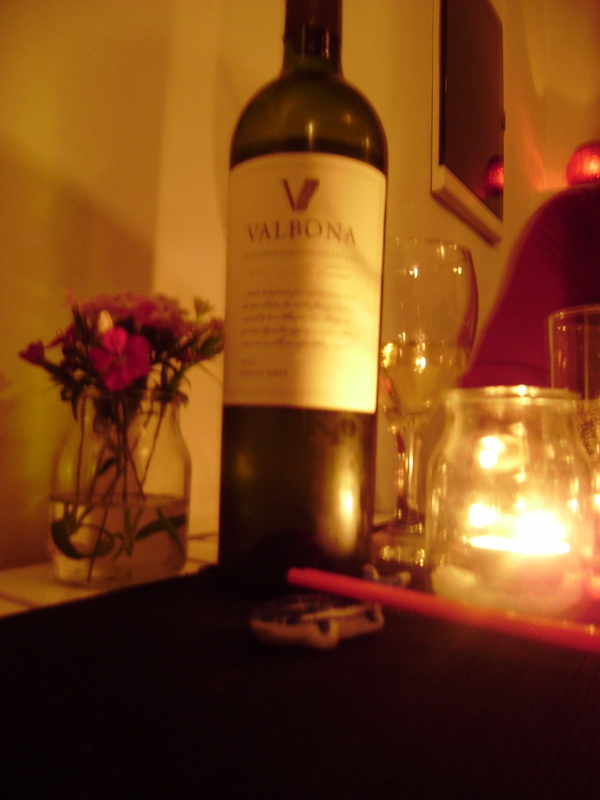 I was shocked to discover an Argentine vineyard that grows that varietal. I’ve been looking for it ever since with no luck. 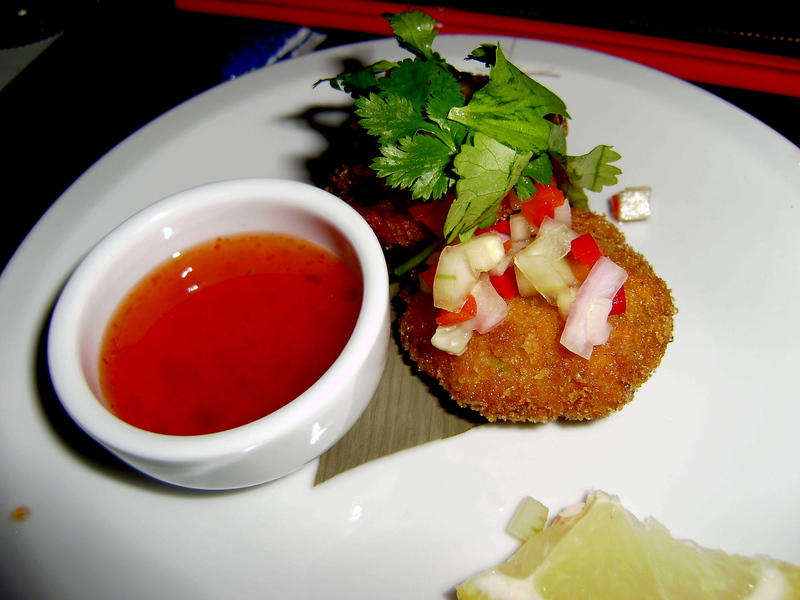 Thai fish cakes seasoned with lemongrass and kaffir lime, served with a sweet chili sauce. 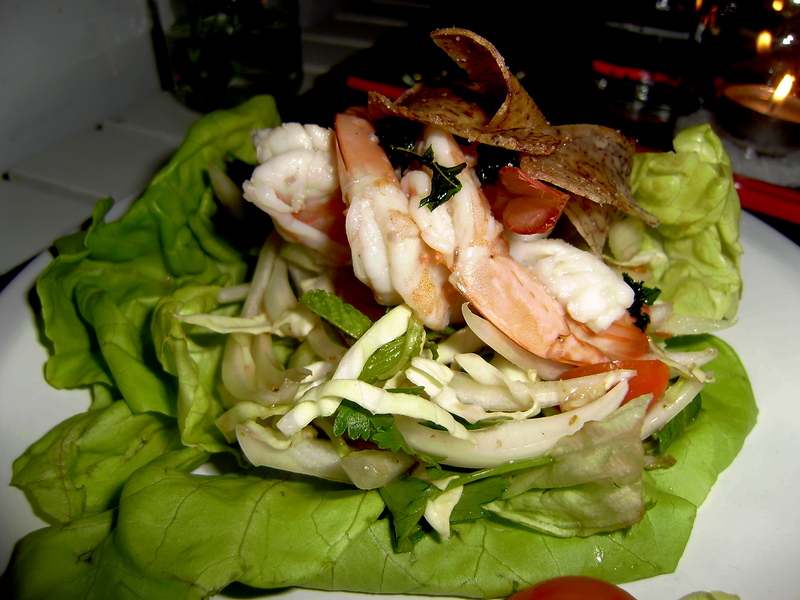 Hot and sour shrimp salad with mint, cilantro, cucumber, tomato and onion. 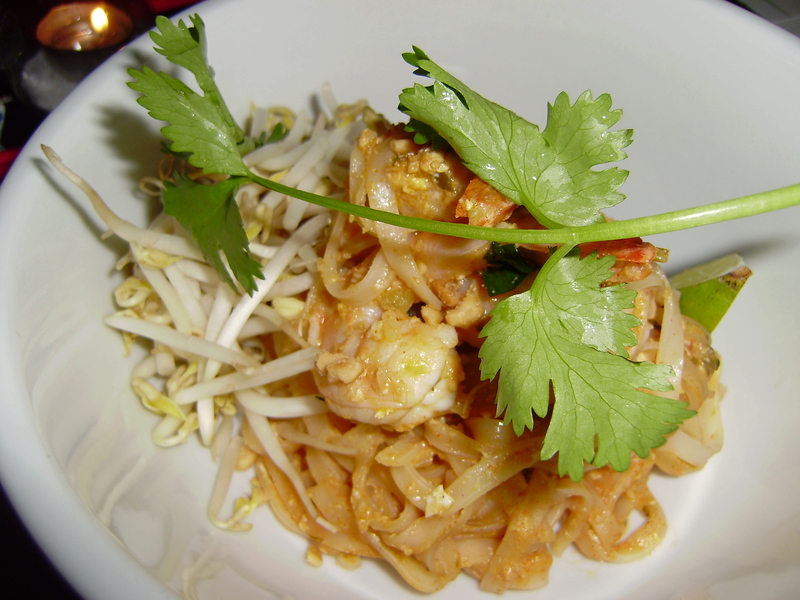 Traditional thai rice noodles sauteed with prawns, tamarind, peanuts, eggs and served with bean sprouts and lemon. Taro root ice cream between coconut cookies served with tropical fruit. We even got to meet the chef herself! I have major apron envy. Cocina Sunae’s menu is updated monthly and always looks incredible. 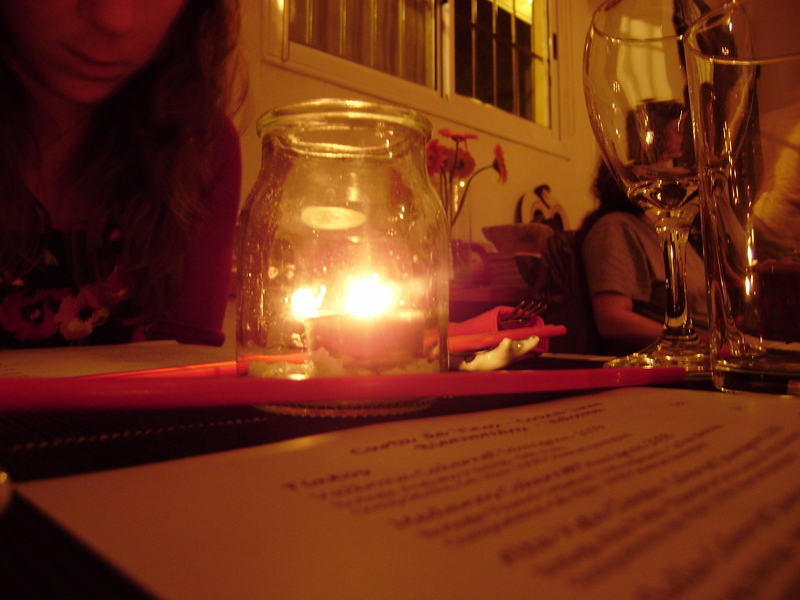 This place is well worth the treck to Colegiales. You really know how to live! How will you ajust to quesadillas?! Indeed, a great place to eat and spicy too! (for real, not just Argie spicy).